With 18 years of experience and 25 facilities across 4 continents, Re-Teck’s parent company, LTG, is the global partner for the world’s Fortune top 50 OEMs, with hundreds of enterprise customers and processing more than 100 million devices per year collectively. LTG and RE-TECK is committed to help countries, governments and electronic OEMs build clean and efficient electronic supply chains, maximize asset lifecycles, protect IP innovation and data-security, and minimize environmental impact and carbon footprints. Re-Teck recognizes the value that the Netherlands location brings to their company infrastructure. The new facility strategically positioned on the Steenakkers industrial estate is fully equipped with processing technologies to handle a wide range of electronic products, such as mobility, IOT, telecoms, IT asset, industrial assets and consumer electronics. Services provided include reverse logistics, return management, grading, testing, parts harvesting and repurposing, refurbishing and closed-loop material recovery and reclamation. The Netherlands facility will enable Re-Teck to increase their electronic processing capabilities by an estimated 50,000 mobile devices per month. 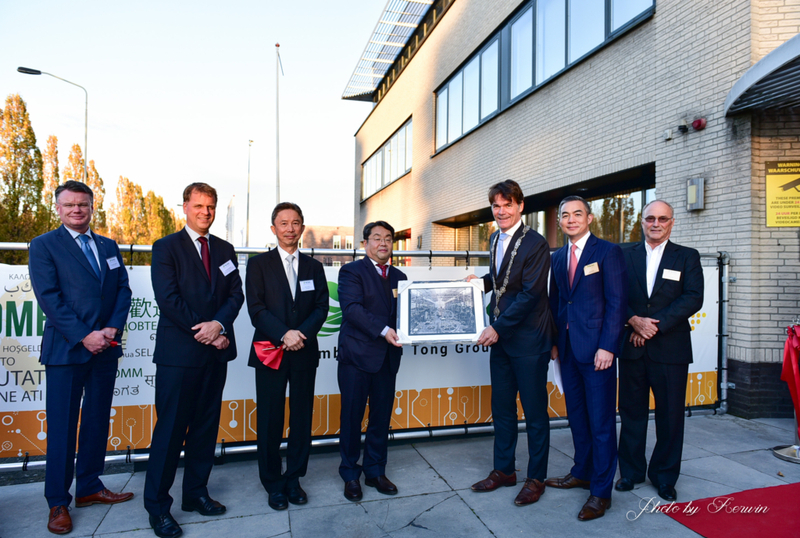 “We are committed to becoming a valuable member of the Netherlands electronic ecosystem to help reduce waste and facilitate the industry’s sustainability while it is experiencing high growth,’ stated Edward Tseng, General Manager of Re-Teck. “Re-Teck contributes to the sustainable strengthening of the Brabant economy and is a great asset to Breda“, says Eelko Brinkhoff, Director of BOM Foreign Investments. Together with the Netherlands Foreign Investment Agency (NFIA) and REWIN West-Brabant, his agency assisted Re-Teck with establishing their company in Breda. Since e-waste handling has been a growing problem globally, the arrival of Re-Teck is good news for the environment and for the manufacturers and importers of ICT products in the Netherlands, as well as Europe. Re-Teck provides Reverse Supply Chain Management (RSCM) solutions for Original Equipment Manufacturers (OEMs) and enterprise businesses in the Technology, Electronics and Telecom (TET) sector. Our integrated services allow us to provide customized RSCM solutions to fit each of our client’s unique requirements and maximize value of our customers’ investments in their global service infrastructure and supply chain assets.